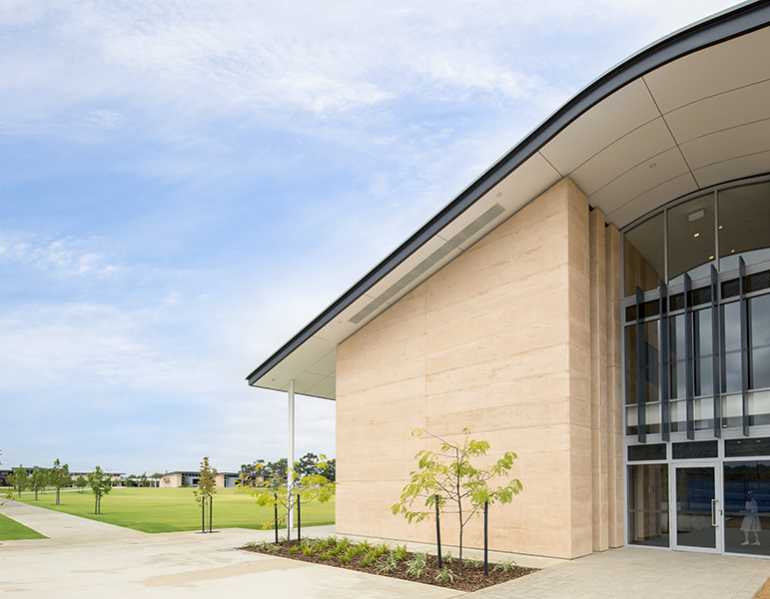 The first stage of the Mother Teresa College Secondary School Campus in Baldivis, Western Australia, sees a continuation of the strong architectural language and controlled material palette already established in the junior campus. 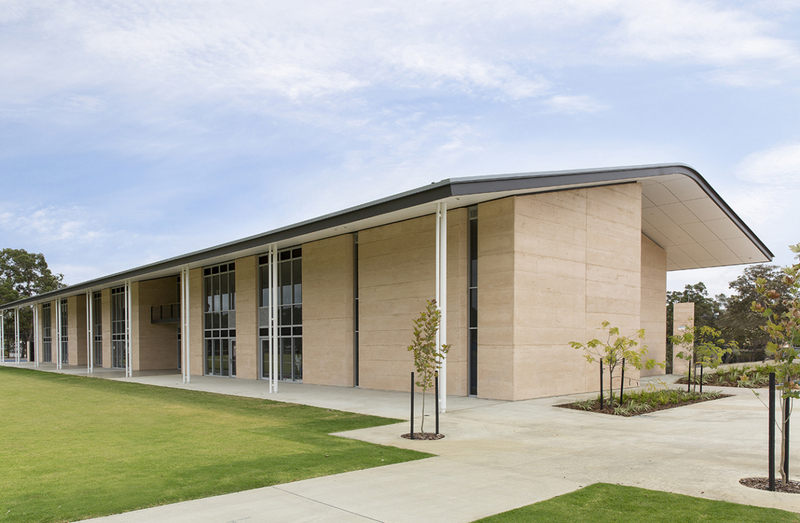 General learning areas, science and administration buildings comprise of double storey rammed earth walls, pushing the use of the material beyond just aesthetic but also structural, unique in its design as there are no additional structural steel columns contained within. 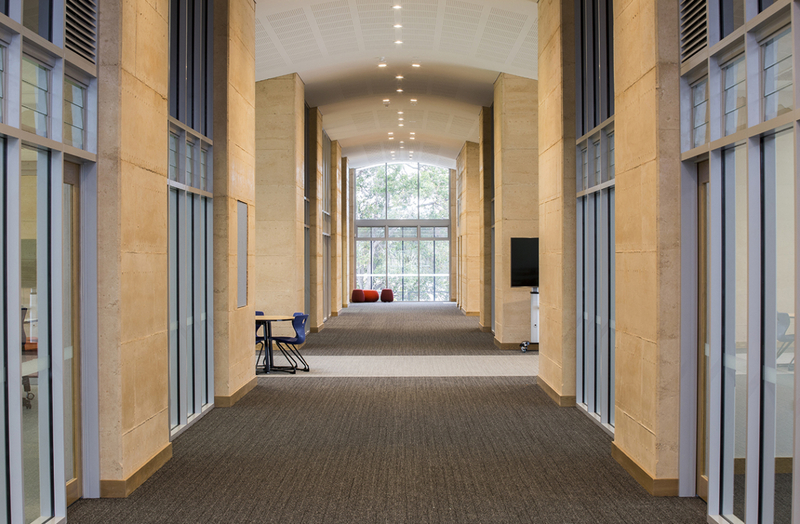 The use of this mono-finish material internally and externally results in a durable and low maintenance finish, timeless in its appearance and engaging in its texture. 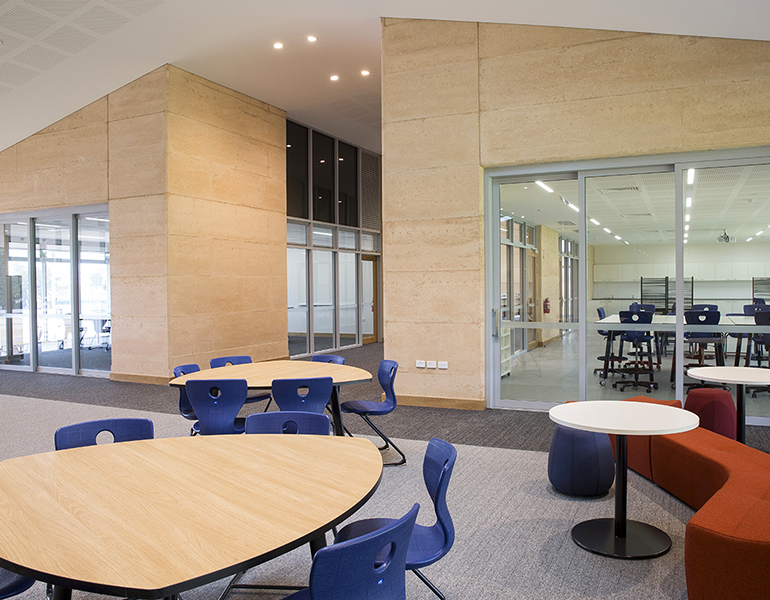 Learning spaces are flexible and facilitate inquiry and project based learning. 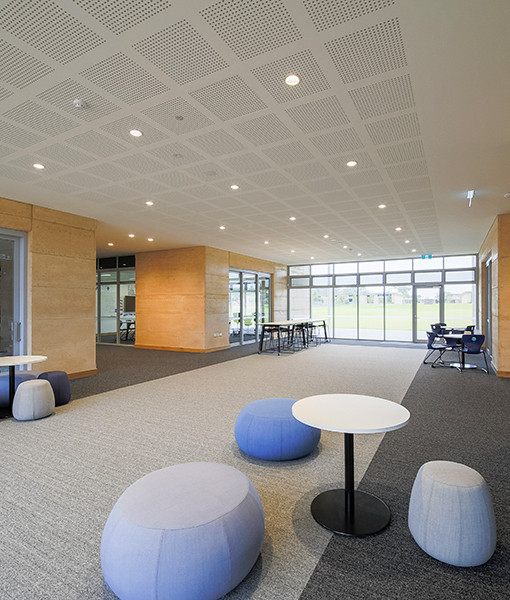 Rooms are acoustically treated to allow different modes of learning to take place at the same time with minimal distraction, including individual, peer, small group, large group and lectures. 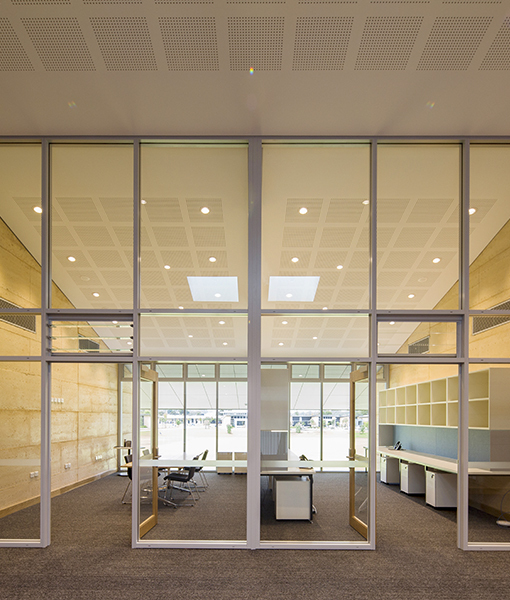 Ample glazing maintains visual connection between groups, no matter the difference in activity. 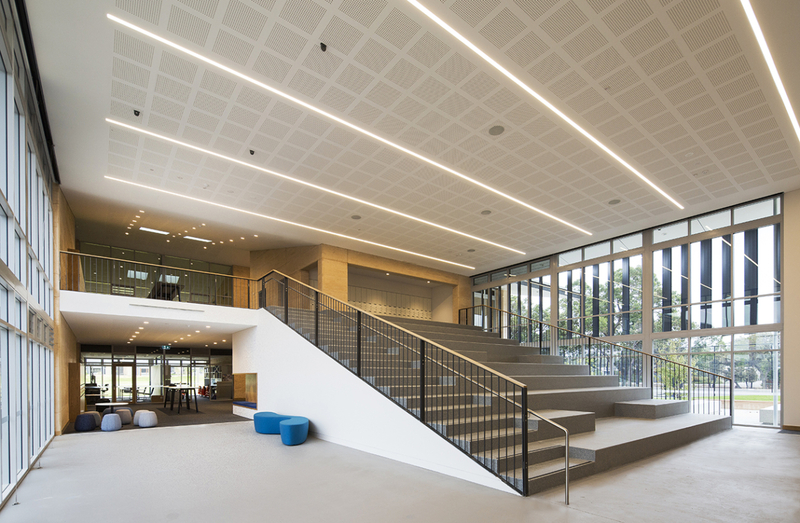 This first stage of the secondary school campus is the recipient of the 2018 Master Builders Award for Excellence for Best Education Building. 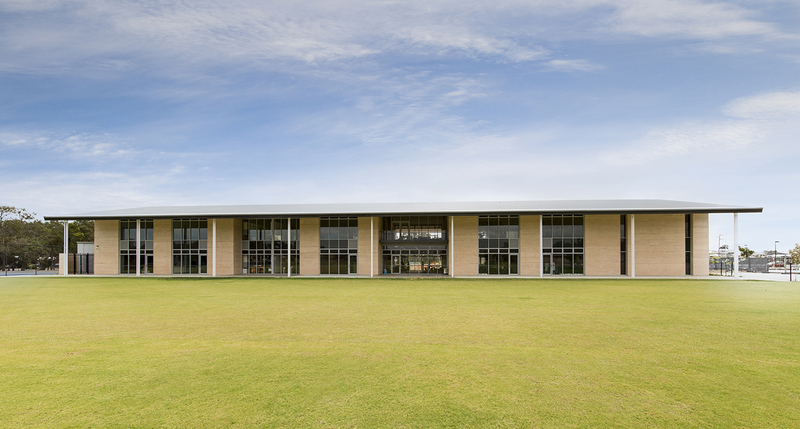 The next stage of the secondary campus is currently in construction, scheduled for completion at the end of 2018.